According to a PA report, 70% of the PA's imports were from Israel, with imports worth $3.5 billion entering the Authority from Israel. Last month, BDS (Boycott, Divest, Sanction) activists slammed Palestinian Authority chief Mahmoud Abbas for not joining in with them to boycott Israel – and on Monday, the PA revealed just how uninvolved it was in the BDS movement. According to a PA report, 70% of the PA's imports were from Israel, with imports worth $3.5 billion entering the Authority from Israel. 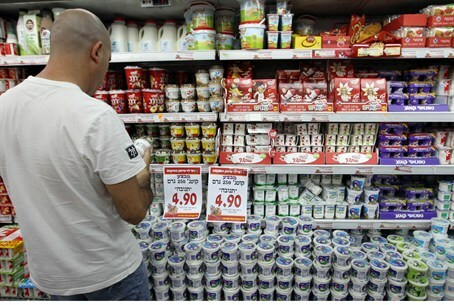 It should be noted that Israel generally does not restrict imports of consumer goods to the PA, and that Israeli goods compete on Palestinian store shelves with goods from Arab countries and Europe as well as from the PA. Rather, it is the Palestinian consumer who is driving the push for Israeli goods in the PA, Palestinian merchants said. In an interview with the PA daily newspaper Al-Quds, Salah Haniyeh, director of the PA's Consumer Protection Authority, said that PA residents were not big savers. “The spending by Palestinians is the main reason for the Authority's negative balance of payments,” he said. While the PA economy would be greatly improved if Palestinians bought local products, he said he understood their reluctance to do so, as PA-made products are generally not well-made.